Texas melodic metal underdogs Fall have been releasing a string of equally enjoyable and deep listens since their beginnings at the start of the decade. 2016’s The Insatiable Weakness was a rush of melodic death metal coupled with some lush atmospheric moments. The Dreamer of Tragedy wisely positions itself as the band being willing to explore a bit more with their sound while keeping the emotional core intact. 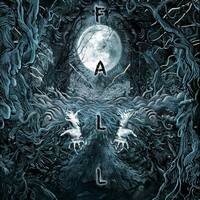 The melodic death metal tag can still work for Fall, though it’s also clear that they are moving in directions that make it less apparent (but admittedly a bit more exciting). There’s only 4 songs to dig into with this EP, but it’s a very satisfying experience from beginning to end. The music feels more esoteric and dreamy than some of the immediate aggression of their last release, particularly the moving closer “Longing Spirits,” which does begin to bring in some heaviness over its 8-minute runtime but it’s intricately set melancholy that really steals the show. “Ascend” as the opener brings us up to speed with Fall’s core – the brazening fast rush of melodeath riffing and shouts connecting to a more gentle and atmospheric side of the material, something that they did playfully experiment with on the last album. But it’s more thought-out and integrated into The Dreamer of Tragedy. The frequently gorgeous breaks in the aggression can be sweeping or subdued depending on the moment, and they are truly the foreground this time, as opposed to being relegated to the occasional surfacing. “Defender” is a fantastic example of this, with a slow burn type of approach, with a reflective tone that grows as the song progresses and never really explodes until about the 4-minute mark (and somewhat quickly retreats back into introspection for the finish). Jessie Santos’ vocals are again a highlight, and the increased use of his unique cleans are more frequently used, giving the band a fresh feel that doesn’t really have a match elsewhere. 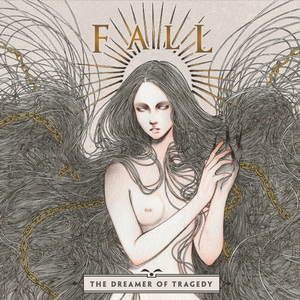 Fall continue to break through the genre barriers on The Dreamer of Tragedy and they are all the more potent because of it. There’s definitely still plenty of appeal for melodic death metal fans (especially “Heir to Silence”), but their willingness to progress their sound is what makes them special. The Dreamer of Tragedy is emotionally resonant and reflective with just enough punch to keep you wondering what is coming around the next corner.